E. Gordon Gee, J.D, Ed.D. Dr. E. Gordon Gee is one of America’s most prominent higher education leaders, having helmed universities for more than three decades. In 2009, Time magazine named him one of the top 10 university presidents in the United States. Recently, the website Great Value Colleges named him the nation’s top university president. Born in Vernal, Utah, Gee graduated from the University of Utah with an honors degree in history and earned his J.D. and Ed.D. degrees from Columbia University. He clerked under Chief Justice David T. Lewis of the U.S. 10th Circuit Court of Appeals before being named a judicial fellow and staff assistant to the U.S. Supreme Court. In this role, he worked for Chief Justice Warren Burger on administrative and legal problems of the Court and federal judiciary. Gee returned to Utah as an associate professor and associate dean in the J. Reuben Clark Law School at Brigham Young University and was granted full professorship in 1978. One year later, he became dean of the West Virginia University College of Law, and, in 1980, was named West Virginia University president. He served in that role until 1985. He went on to lead the University of Colorado (1985-1990), Brown University (1998-2000) and Vanderbilt University (2001-2007). He served as president of The Ohio State University from 1990 to 1997 and again from 2007 to 2013. Gee has been a member of several education-governance organizations and committees including the Big 12 Conference Council of Presidents, the Business-Higher Education Forum and the American Association of Universities. He was chair of the American Council on Education’s Commission on Higher Education Attainment and served as co-chair of the Association of Public and Land-Grant Universities’ Energy Advisory Committee. In 2009, Gee was invited to join the International Advisory Board of King Adbulaziz University in Saudi Arabia, and he currently serves on the Board of the Royal University for Women in Bahrain. Active in a number of national professional and service organizations during his tenures, he has served on the boards for the Rock and Roll Hall of Fame and Museum, Inc., Limited Brands and the National 4-H Council. In 2011, Gee was appointed to serve as secretary on the Board of Directors of Ohio’s economic development program, JobsOhio. In 2011-2012, he was asked by Governor Kasich to chair both the Ohio Higher Education Capital Funding Collaborative and the Ohio Higher Education Funding Commission. In March 2015, he was elected to the board of directors of the American Council on Education, the nation’s largest higher education organization. And he served as chair of the Big 12 Board of Directors Executive Committee for the 2017-18 year. Gee presently serves on the council of presidents for the Southern University Research Association. The Gee Family — Front row from left: Nathan, Elly and Ben Patrón. Back row from left: Rebekah Gee, Eva Patrón, E. Gordon Gee, Elizabeth Patrón and David Patrón. View President Gee's curriculum vitae. 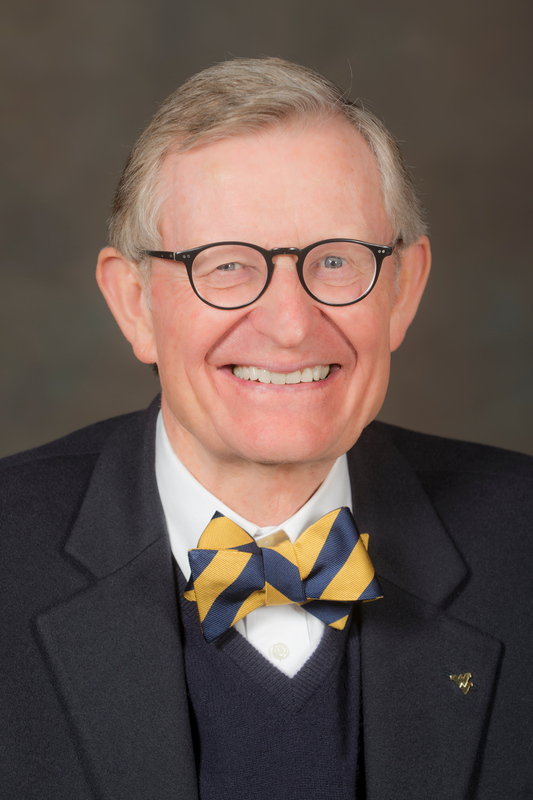 Download President Gee's official portrait. 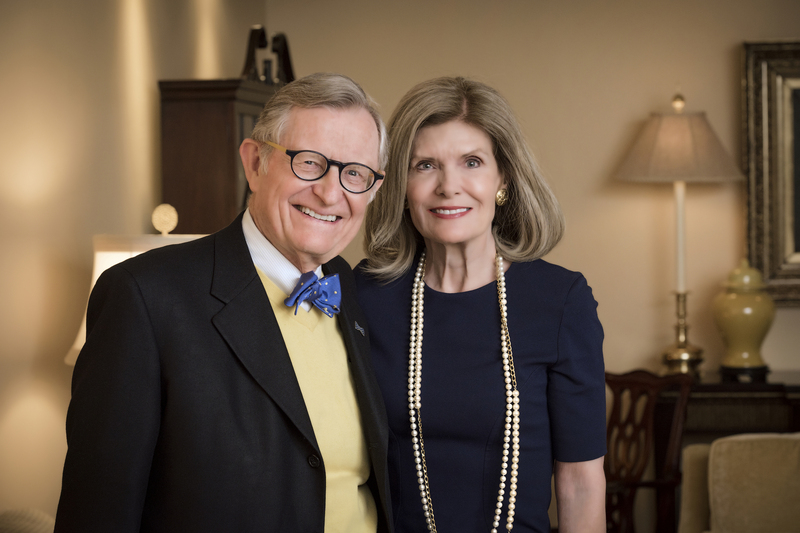 Download portrait of E. Gordon Gee and fiancée Laurie Erickson.